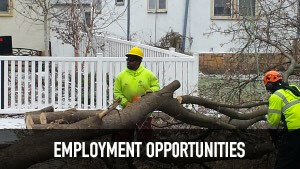 When looking for a qualified tree care contractor in Minneapolis & St Paul area, seek no further than A Tree Service! We thrive to be up-to-date on all the newest arboriculture information. Our certified arborists have the knowledge of the signs of tree disease, how to help the trees fight the disease, as well as how to protect your other forestry from getting the disease. With all of the risks out there now for vulnerable trees, A Tree Service is here to help protect your timbers and stop spreading diseases and invasive species. Give us a call today to speak with a Minneapolis-St. Paul certified tree care contractor! Why Hire A Professional Minneapolis & St Paul Tree Care Contractor? When dealing with the diagnostics of a dead tree, it may seem simple. Looking at a decaying forest most can tell if a tree is dead or not. But, the reason behind why the tree is dead is more important so the other timbers in the area do not catch the means for the end like the rest of them have. It is crucial to catch, treat, and prevent tree disease such as Oak Wilt, or invasive species like the EAB when it first starts to limit the risk of further invasion to other healthy trees. Our professional Minneapolis-St. Paul tree care contractors are highly trained to diagnose, treat, and prevent all forms of disease and invasion of species that feed from live trees. Our eco-friendly treatments in most cases can turn the affects of the withering tree into once again blooming like it has in the past. The more of nature’s oxygen providers we can save the better off our planet is. Please, if you see any of your trees beginning their process of evolution, give us a call. We can bring them back to the fullness they deserve. When looking for signs of tree care needs within your luscious forestry, you may notice quite a few tells that there is a problem. Black mold is one good indication of a tree needing care. Seeing black mold on the base of the tree or on it’s limbs should be dealt with by a professional, so we can stop it in its tracks. Small worm looking trails and holes is a common tell that there is an invasive specie eating away at the timber. You could look out for dead limbs and branches as well. If the tree goes untreated, it will end up withering away, stop producing oxygen and be a hazard to anything in its path. When it comes to tree disease, invasive species, deforestation, and natural disasters; the trees could use some help to survive. Sure, there are many trees now, but we wouldn’t have an Earth if they were to die off. Give us a call here at A Tree Service and let us help you bring one tree back to life at a time! This entry was posted in MN Tree Contractors and tagged Invasive Species, Invasive species and tree disease in Minneapolis, Tree Care, Tree Care Contractors, Tree Diseases. Bookmark the permalink.